It’s been a long road for Florida-based alternative rock band Anberlin-twelve years to be precise. Starting out in 2002 with their debut album Blueprints for the Black Market, the band have since released 7 studio albums and gone on more tours than we can count. Most importantly, they’ve affected millions of people around the world with their music,yours included. I mean, who can deny the brilliance that was Cities, their third studio album which spawned hits such as Godspeed, The Unwinding Cable Car and Dismantle. Repair. I could go on and on about the rest of their work, but perhaps you should take a listen. In a world of carbon-copy pop tracks, Anberlin stands out as a cut above the rest. Like all good things though, Anberlin’s journey will finally be coming to an end as they embark on their farewell tour in support of final album Lowborn. As the band explains, this album represents a culmination of their emotions at this final stage of their musical journey. There’s no sadness or animosity though; they emphasize that this breakup should be seen as a celebration of the band’s experiences and achievements. Lucky for us, Singapore is set to be one of the upcoming stops on the tour, which means we get to be a part of the band’s “last days” as well. We’re also thrilled to get the chance to speak to Deon Rextroat, Anberlin’s bassist and one of its founding members. He even mentions his excitement about visiting Singapore for the first time, and his love for a certain local dish. Rebecca: Lowborn will see you guys coming full circle after 12 years. Could you describe the emotions surrounding this farewell tour? Deon: It changes day to day, but I think there is actually a pretty positive attitude here. We’re really trying to appreciate these last few tours, so we don’t want to get too wrapped up in knowing the end is near. There must have been many highs and lows in this long journey. Which particular moments stood out for you? One moment I’ll always remember is our first tour to Asia in 2007. Being from a small town, it was hard to imagine I’d ever get to go to a country like Singapore. The first time we came, we spent four days just wandering around seeing as much as we could. Not to forget that our first show in Singapore was so awesome! We didn’t even know we would have fans there. And yes, I do love Chicken Rice. Your music has evoked some powerful responses from fans as well. What were some of your most memorable touring experiences and interactions with fans? On this tour especially, we’ve been getting so many letters from fans telling us what this band has meant to them. Some have even gone so far as to say our music has saved their lives. It’s incredible to think we have had such an impact on their lives. Tell us more about the influences and creative process behind Lowborn. 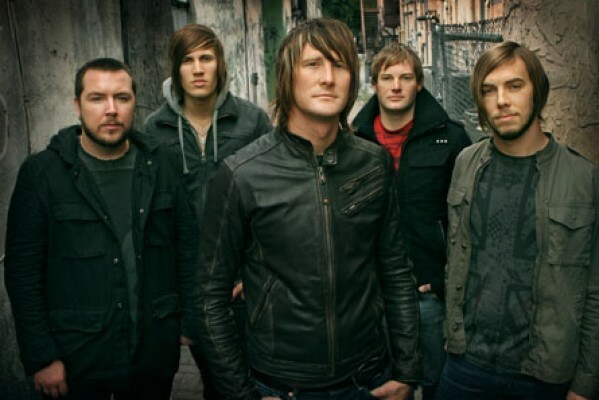 For us, Lowborn was about portraying who Anberlin is now, at this point in our lives. Part of that was just letting the songs come naturally and not trying to “shape” this album. Granted, we have always tried our best to not be too concerned with what others may think, but for this album in particular, the fear of criticism was pretty non-existent. That’s one of the reasons we decided to work with the team we did. Matt Goldman recorded our first demos; Aaron Marsh’s band, Copeland, took us on our first tour and Aaron Sprinkle recorded our first albums. It seemed logical to work with these guys that have known us for so long. A lot of people think that because we did drums with Goldman, guitars/bass with Marsh and vocals with Sprinkle that we recorded the album separately. In reality, we were together the whole time at each studio. How would you say the band has grown and developed, especially comparing your later work to albums like Cities and Never Take Friendship Personal? With each record, we grew as a band and we weren’t afraid to try new things musically. It was that mindset that created albums like Cities and Never Take Friendship Personal. We didn’t try to keep recording Blueprints For The Black Market over and over just like we aren’t going to try to recreate Cities or Friendship. Growing creatively and musically is how we stayed a band for so long. We know this is a difficult one, but which songs (from any album) would you say are the most emotionally resonant for each of you? Time and Confusion is a big one for me. Stephen wrote it about the band touring and playing music together. To this day, it still evokes so many memories whenever we play that song. We really are good friends and the fact that we’ve been able to do this thing together for so long, it’s amazing. Lastly, what advice would you give to bands seeking longevity in the music industry? I don’t know if I have the answer to that since so much really just hinges on luck as much as talent. I can say this; Be true to yourself. It’s not just about writing popular songs and it’s not about getting famous. It’s about writing music you believe in. Get your tickets for Anberlin’s final show here.